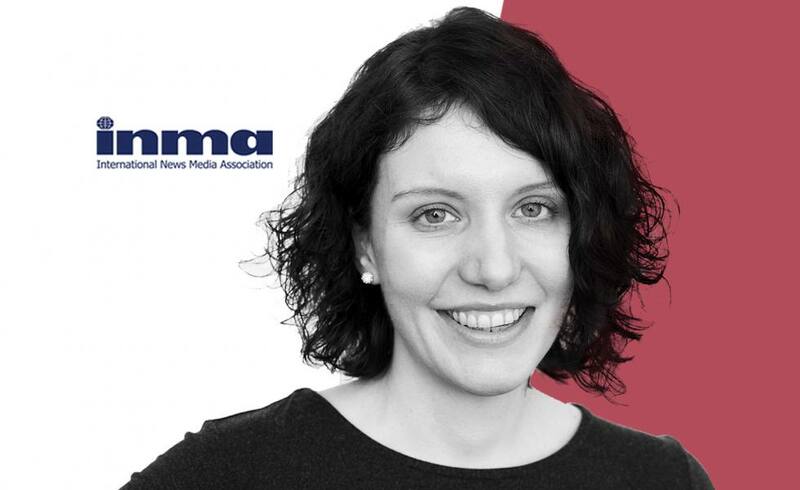 Editor at Algemeen Dagblad Rotterdaminner and winner of the 2018 INMA Scholarship for our Executive MBA in Creative Leadership, Karolien Koolhof works at the forefront of innovation in journalism, finding new forms of storytelling and new mediums through which to communicate them. A couple of modules into her EMBA, we caught up with Karolien about her learnings inside and out of the classroom so far and discussed some of the biggest challenges and opportunities facing the world of journalism in the near future. As a kid, I wanted to be a writer. My plan didn’t change much over the years since I ended up in journalism. I know my way around newspapers and websites, but I also worked for magazines and the communication department of a big bank in France. The central point has always been my eagerness to get to know the story behind things and people, and to tell it to others. As I gained experience in journalism, I discovered that it’s not only creativity that motivates me but also a good bit of ambition. That’s when I started coordinating others. At the moment, I’m managing a big online project for the municipal elections. We’re developing a tool to help people be informed about the different opinions of their local politicians. The idea is to offer something extra to the visitors of our websites. It’s a very exciting project to manage. What is your approach to journalism? We write about special people who do normal things and about normal people doing special things. People are the central element in our stories. Instead of writing about abstract matters, we choose to make stories more personal. If we write about bitcoin, we’ll find someone who has a story to tell about that. And if there’s a big international event, we’ll find the Dutch person who witnessed it. What was the most important global story of 2017? That really depends on the way you look at it. When it comes to numbers, it was the terrorist attack in Barcelona. We quickly found a Dutch eyewitness, which made our story very relatable. If you look beyond the numbers, I think the rise of bitcoin was an important one. For me it really feels like we’re living the internet bubble all over again. There’s a lot of buzz, but as a news outlet we try to filter all the buzz into something that people understand. As a reader, you don’t necessarily have to own bitcoins, but you should at least understand what they are and where they came from. Which communication trends do you predict will shape journalism in 2018? I expect a lot from blockchain technology in the coming years. In the US, a startup called Civil is launching this spring and their strategy is fully based on the blockchain. The way they do it, journalism becomes more transparent and it offers an easier way to charge for online journalism. As for this year, I think a lot of media will go from an attention-based model to a model where the relationship with customers is key. They’ll do that by putting up paywalls, but experiments at The New York Times and The Financial Times have already proven that it’s quite hard to get people to pay for what they used to get for free from one day to another. I think blockchain could be the key to finally finding a model that does work. It brings more transparency to the way the news is made and can be an effective weapon against fake news. It’s important to first win back the trust of the audience, before getting them to pay for what you make. For me, constant innovation is the new status quo. Only trial and error teaches us what is future-proof. If you think of your company as a startup, instead of a traditional one, the rules of the game change. Instead of keeping on working the way you used to do, you need to constantly experiment and reflect on what you’re doing and how you’ll stay ahead of all the others. To constantly adapt to the changing world and make innovation part of your core business. For that, you’ll need a more diverse team, with people from all kinds of backgrounds. And such a diverse team needs a leader that likes constant change and who can inspire all those people to aim for the same goal. This way of doing business might also mean that we’ll see a whole different kind of person becoming a leader. Because the one that challenges the status quo isn’t necessarily the obvious choice for companies. But it might be the one who creates the future of the business, finding new audiences and businesses. How is your Berlin School experience going so far? It's been a rollercoaster ride full of new knowledge, new experiences and new friends. The program really changes the way you look at things and is great for unlearning things too. But I think the most important thing I got out of it so far is that it helped me focus on my personal ambitions and goals. Somehow, I knew they were out there somewhere, but since I started the program, a fire has been lit that has been expanding ever since. I have a clearer image of the purpose I want to strive for. That's both fun and exciting at the same time. What kind of learnings have you taken back to the Dutch journalism industry and what impact do you hope they’ll make? The value creation theory has been one of the most important takeaways for journalism, if you ask me. We should never forget why we're doing what we're doing: because we want to make our customers happy. That means we have to keep asking ourselves if what we're doing is what brings the most value to those customers. That also implies experimenting with new things that might be out of our comfort zone. For some people that might be scary, but I love it. I see it as the only way to stay relevant and to keep creating value for our readers and visitors. Could you be our next INMA Scholarship winner? INMA Scholarship applications are now open for the March 2019 intake here. If you have any questions about your application, don’t hesitate to get in touch with our admissions team. Best of luck!